Today is a fun day! It's the reveal of the Warrior Stone Challenge. 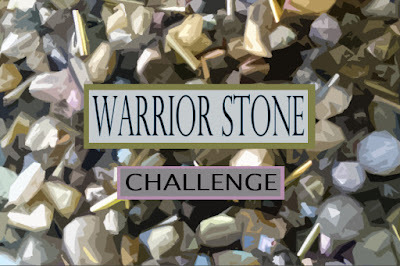 I really want to thank everyone who participates and continues to make these challenges possible. THANK YOU! Each challenge is exciting for me, because I get to see how different people encounter the same materials and make them truly their own. The color palette for this challenge started off being inspired by labradorite. 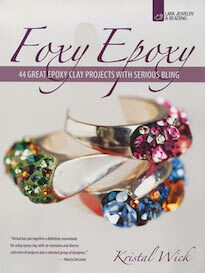 The kit includes shades of gray, gold, green, and purple with pops of silver and blue. To read more about the inspiration and the component fixings, CLICK HERE. These pieces were created by Melissa Wynne. Here's what she had to say about them: "The colors in this challenge were great, as all the challenge color selections have been. As I've done in previous challenges, I utilized pieces of my late mother's jewelry and also beads I purchased from the "Bead Lady" – a woman who sold wonderful vintage beads at a long gone swap meet." Here's a close-up of the bracelet. "I've been on a bracelet kick lately. So my favorite creation is the wrap bracelet. It was quite an experiment in texture and design. It also can be worn as a necklace. I found this to be funny! When I made the "circles" in the necklace using the stone chips, I thought I'd really done something unique... until... I saw stone chip circles everywhere! Thank you again for exercising my brain!" These pieces were created by Kathleen Ennis-Reid. Here's what she had to say about them: "So far, this has to be my favorite kit! Labradorite is a stone of my heart and I wear it a lot. I love the color story that Andrew has put together – lots of blue flash to be found in this kit! The heart pendant has been languishing in my stash for quite awhile. I decided to use it as the focal for this piece. I usually do multi-strand pieces with a little more randomness to it, but this kit felt like it needed a more regimented look to it. So two matching strands hold a handmade bail for the heart. I made matching labradorite earrings with teardrop dangles." This piece was made by Cathy Jakicic. Here's what she had to say about it: "I did a little free-form embroidery with the challenge treasures. 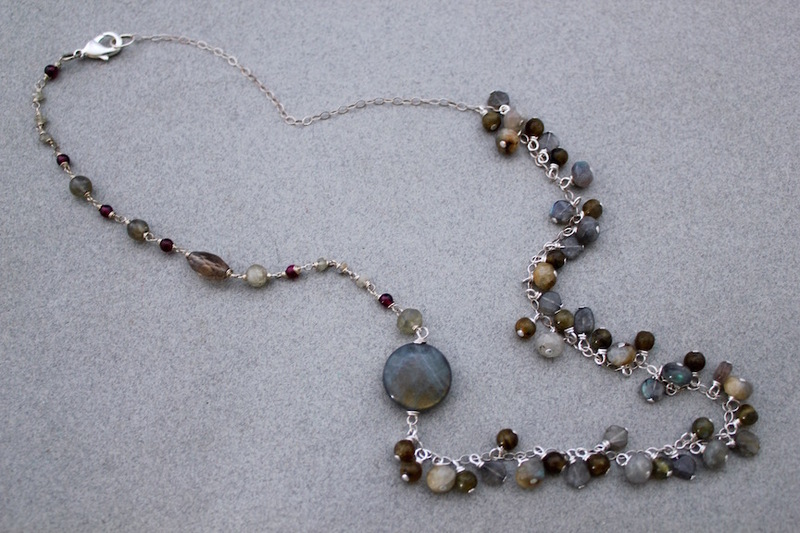 I used some seed beads from my own stash to add some background texture and to bring out the color of the labradorite. As you can see, I used the secret component as the clasp." Here's another view of Cathy's cuff. "I think the cuff has a "warrior" feel to it. Think Wonder Woman without all the primary colors." 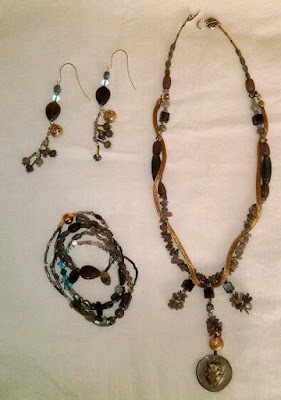 These pieces were created by Lisa Mendum. 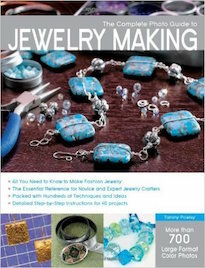 Here's what she had to say about them: "I have participated in a handful of challenges and sometimes they are the only beading I have time for and I love them! The kits often feature colors outside my comfort zone, which is fantastic for creative growth. I haven't much time for beading so the pieces I created for Warrior Stone aren't really complicated. I did throw in some of my own skeleton beads for extra fun!" This piece was made by me. Originally I wanted to make something more tribal and look like it belonged to a shaman. But as I played with the components the beads led me to this rather delicate and dainty piece. On the left side of the piece is a wire-wrapped link chain with a few garnets for a pop of color and the rest is all chain with wire-wrapped link embellishments. It took some playing to get the proportions and weighting right so that the large labradorite coin didn't migrate. 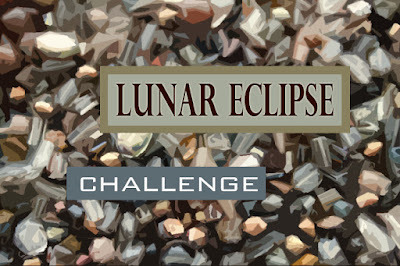 Up next is the Lunar Eclipse Challenge! I hope you'll join us to see all the great pieces on the reveal date! I have it scheduled for Thursday, October 15th. ALSO... keep your eyes peeled for another Special Challenge that will be released on my birthday, September 25th! This will be the 25th kit (since we rebooted the challenges)! Hurray! I love your necklace, Andrew - just my style. The vintage additions and the pop of aqua are great in Melissa's pieces. And so happy the Kathleen's labradorite heart found a beautiful home! Can't wait for the other blog links. I'm also a big fan of Lisa's skeleton beads - great addition. 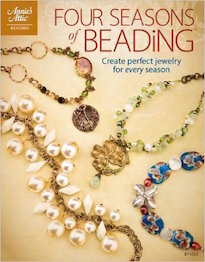 Everything was so creative and well made - the bead embroidery cuff is my favorite though! I love how Melissa worked so many treasures into her pieces. Kathleen's necklace is a beauty. 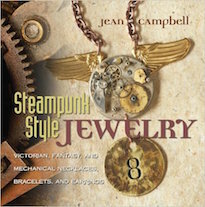 What a fabulous pendant, and I love the handmade bail. Cathy's bracelet is amazing. I absolutely love how it looks as well and the Wonder Woman vibe! Lisa's set is lovely. 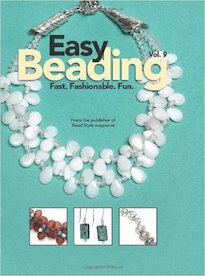 I also enjoy challenges because I know I will prioritize them and get in some beading time! Andrew's necklace is absolutely gorgeous. I love the asymmetry, the choice of materials and the delicate look. 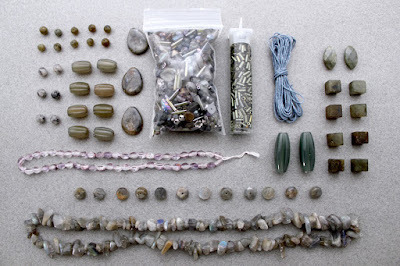 I'm already scheming a labradorite and garnet project. The necklace looks kind of magical! Melissa: Great ensemble! 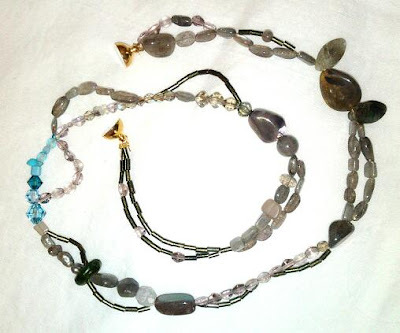 I love the multi-strand necklace and it pairs with the multi-wrap bracelet and dangle earrings perfectly! 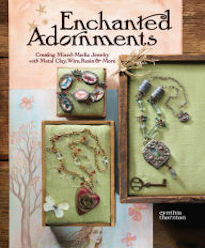 Kathleen: It's great that you were able to rummage through your stash and find the perfect focal piece for your design! I love the heart and the clever way you suspended it. You also stepped out of your comfort zone and made a more symmetrical design than usual and it rocks! Cathy: Your cuff is awesome!!! I love all the texture and color. I would love to see it in person, I can only imagine all the sparkle and flash! Great way to incorporate the Mystery Component. 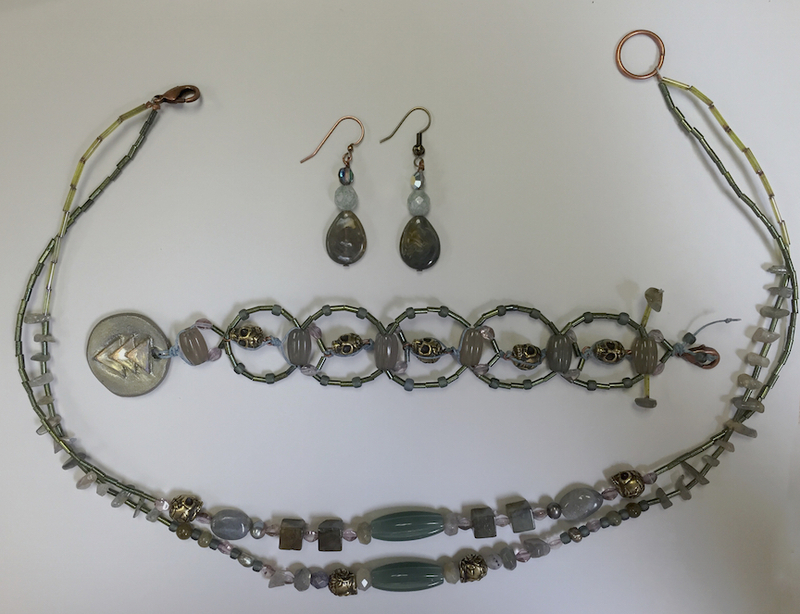 Lisa: This is a great jewelry set and just in time for October/Halloween! The addition of the skulls gives your designs a Pirate-y vibe. Arrrrrrr!!!! Great job!! Andrew: It's great that you started out with one idea in mind and then moved in a completely different direction as you played with the beads. That is why I love participating in these challenges. The design process is a fluid entity and I never know what I'll end up with until I sit down to take the final photos! I love the asymmetrical design and the delicate look. So pretty!!! 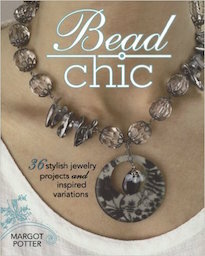 Another great challenge where it is so amazing to see so many different and wonderful designs from the same beads! 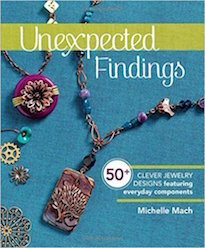 Melissa's pieces are great, I love the wrap and layered look, so many paths the eye can follow. I love Kathleen's bold heart with the more delicate strands, a perfect combination. Cathy's cuff is just amazing, the bead embroidery is fantastic. Andrew's necklace is fabulous, it's got all my favorite elements, charms, asymmetry, mystery.